If you have a personal Google+ account, Google will be shutting down its services this April 2, 2019. Google will be shutting down the consumer version, of the Google+, Google+ personal accounts, and will be launching a version that’s tailored for businesses. As for users with personal Google+ accounts, Google recommends users to download or backup their photos and videos from their Google+ pages and Album Archives as Google commences data deletion by April 2, 2019. Google recommends its user to get started before March 31, 2019. Google assures there will be no other changes in other Google’s services such as Gmail, Google Drive, Google Photos, YouTube, and others. Google+ was launched in June 2011 with the attempt to challenge the existing social media giants like Facebook and Twitter. Over the years, Google+ struggled to gain more users even with the integration of other Google services such as YouTube. Google released a new version of the Google+ Android App, G Suite, released on February 21, 2019, which will replace the previous version and will replace the current platform and erase all consumer or personal accounts. G Suite is an integrated suite of collaboration and productivity apps for businesses that includes Gmail, Docs, Drive, Calendar, Hangouts Meet and more. Some personal Google+ accounts that are used for businesses and similar entities might have a G Suite account. Google recommends using other platforms to stay in touch with follower such as other social media platforms. 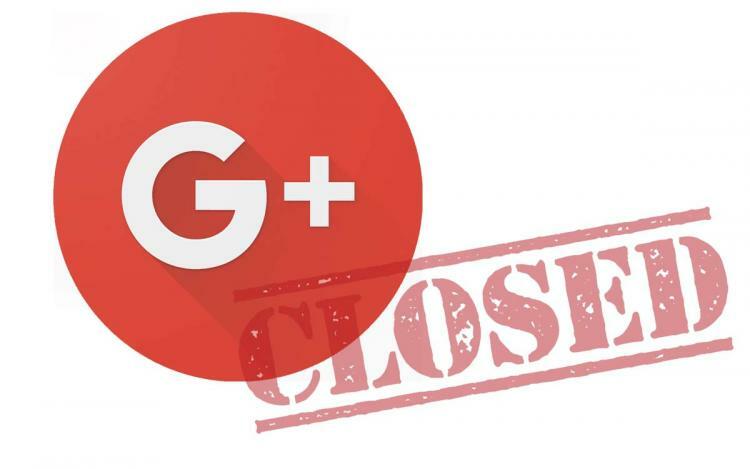 Learn more about the Google+ shutdown here. Learn more about G Suite here.